Sometimes finding single middle-aged women can be a difficult task. When meeting people through work or friends isn't an option, it may be time to look elsewhere. Whether you're seeking friendship or an intimate relationship, there are many good places to meet and interact with the type of woman you're looking for. women. You probably already frequent many of them. Volunteering allows you to meet single middle-aged women while helping with a good cause. Make sure to choose a volunteer place that attracts single women in this age group. Consider making quilts for the homeless, reading to sick children or helping out at a school bake sale. A fundraiser in support of a charitable organization may offer opportunity as well. Volunteering allows you to work with others in a structured environment and it can be an effective way to broaden your social circle. There are no fees or commitments involved. If interaction with the women you meet turns awkward or undesirable, you can leave at any time and seek another volunteer opportunity. The grocery store is a good place to meet single middle-aged women. Everyone buys groceries so you're bound to encounter someone while shopping. Purchase a few items a couple times a week rather than a two week supply of groceries in one outing. This will allow you to frequent the grocery store more often for opportunities to meet women. 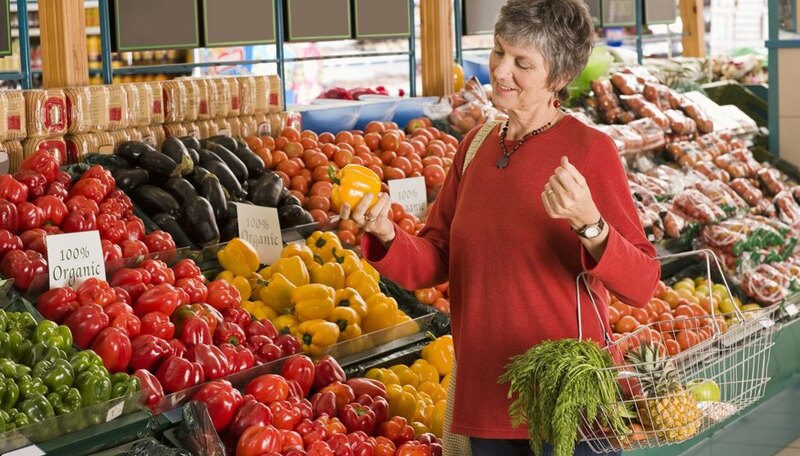 There are many natural and non-threatening ways to interact in a grocery store. Strike up a friendly conversation while waiting in line for the cashier or ask for recommendations when browsing through the aisles. Find a weekly class or club involving an activity you like doing. If you like dancing, sign up for salsa lessons that match your age and level of experience. Women love dancing and you'll have fun. Perhaps your relationship with your dancing partner could evolve into a friendship or an intimate relationship. A book club can provide another great opportunity. Members from various backgrounds and professions meet regularly for book readings or to discuss reviews. If you happen to meet someone you'd like to get to know better, you can be sure that you already share a common interest. Sign up for a series of cooking classes. Many women love to cook and classes offer a fun, informal approach to interacting. Yelp is an Internet site that offers reviews and recommendations for top restaurants throughout the United States and Canada. You can post your own reviews and meet fellow critics. Users can organize events where they can meet, interact with chefs and enjoy good food. The Yelp site also allows you to exchange private messages with other readers. Certain websites offer a great opportunity for friendships or relationships with women. Online dating sites such as Match.com allow you to browse profiles and interact with women who possess the characteristics you're looking for, such as religion, age and hobbies. The anonymity of the Internet can make it easier to meet and interact, and it allows you to search wider areas than you normally could. If you're a wine or coffee lover, tastings provide a classier atmosphere than a bar or club and may be more likely to attract single middle-aged women. Conversation almost takes care of itself -- you can discuss coffee or wine and good restaurants. Cruises are fun and can offer a lot of opportunity to meet single middle-aged women. Seek out a cruise catering exclusively to singles in an age range that matches what you're looking for. Adult single cruises offer a very relaxed atmosphere where you can interact with a variety of women. Warshaw, Aubrey. "Good Places to Meet Single Middle-Aged Women." Dating Tips - Match.com, https://datingtips.match.com/good-places-meet-single-middleaged-women-13443387.html. Accessed 23 April 2019.